they could be copying the difuser design. they won't protest against themselves would they? They will all copy the diffuser design. But atm its just easier and cheaper for them teams to protest and try and get the other teams to change, then it is for them to change themselves. This is the thread to contomplate life! My life is dull, my uni course is so intense that now i have finished i don't know what to do with myself, i might start an f1 team just too fill the time. Who would you have driving for you then? I feel, i may be able to make a faster car then Lola, considering there last attempt. Oh, i would drive also. So you'd run it and drive? yup, write the theme tune, sing the theme tune. You could make it out of card board and match sticks and still be quicker than BMW. Looks like the abu dhabi will be finished. Though the bottom of the pic looks photoshopped, the top looks real. Abu dhabi looks like fun! 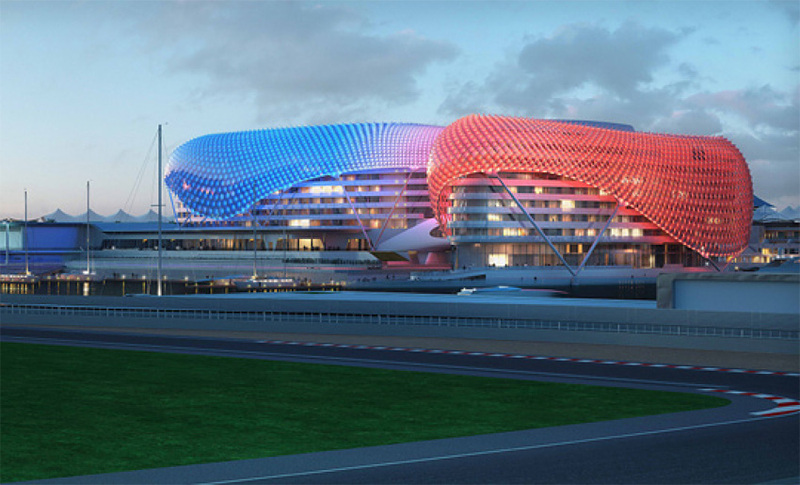 I think itll be all flashy shiney buildings and no substance like all of these new Tilke modern tracks.